A pro-Brexit activist has pleaded not guilty to harassing MP Anna Soubry outside Parliament. 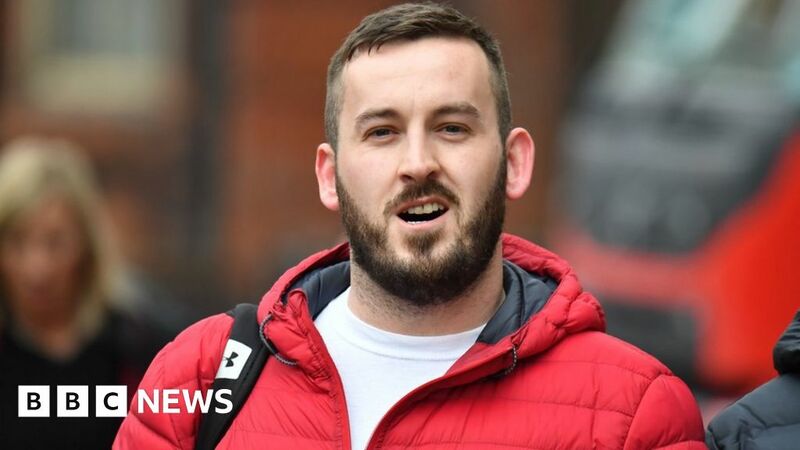 James Goddard, 29, from Altrincham, Greater Manchester, is alleged to have called the MP a “Nazi” and a “traitor”. He denied three charges before the case at Westminster Magistrates’ Court was temporarily adjourned when people in the public gallery started shouting. Mr Goddard was remanded on bail until 19 July when he will face a two-day trial at the court in London. He was held by police following protests outside Parliament. He is charged with causing harassment between 18 December and 7 January; and racially aggravated harassment, alarm or distress, and harassment, alarm or distress on 7 January. The charges have been brought under the Protection from Harassment Act 1997, the Crime and Disorder Act 1998, and the Public Order Act 1986. Mr Goddard is accused of shouting and chanting at Ms Soubry as she was being interviewed by broadcasters; pursuing her along the street, loudly and repeatedly demanding she answer questions, and filming her continuously on a phone. About 15 minutes into the hearing, the proceedings were adjourned after people in the public gallery started shouting that Mr Goddard should sack his lawyer and also chanted “Soubry is a Nazi”. Ms Soubry, the MP for Broxtowe who supports another Brexit referendum, resigned from the Conservative Party in February to join the Independent Group.